Little, Brown Books for Young Readers, 9780316440752, 480pp. 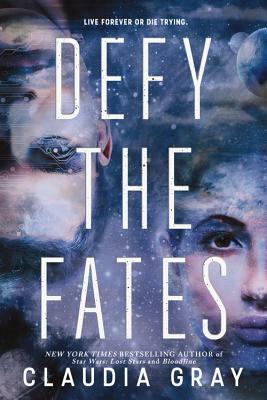 Claudia Gray is the New York Times bestselling author of many science fiction and paranormal fantasy books for young adults, including the Defy the Stars series, the Firebird series, the Evernight series, the Spellcaster series, and Fateful. She's also had a chance to work in a galaxy far, far away as the author of the Star Wars novels Lost Stars, Bloodline, and Leia, Princess of Alderaan. Born a fangirl, she loves obsessing over geeky movies and TV shows, as well as reading and occasionally writing fanfiction; however, she periodically leaves the house to go kayaking, do a little hiking, or travel the world. She will take your Jane Austen trivia challenge any day, anytime. Currently she lives in New Orleans.